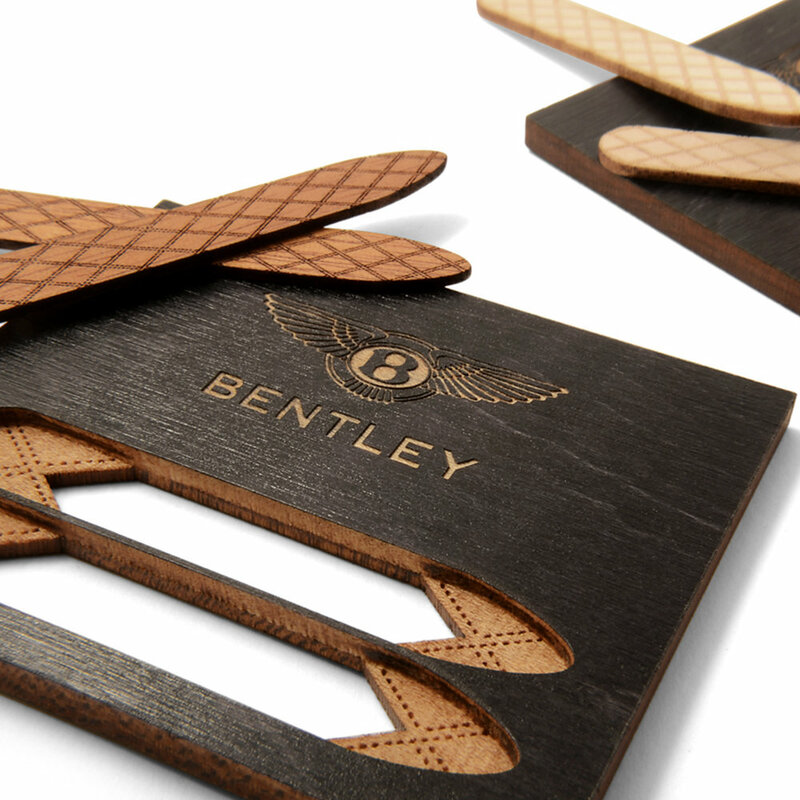 Bentley Motors wanted something unique to hand out to men who test drove one of their luxury vehicles. We felt that our laser cut wood collar stays were a perfect fit for this audience. But we took it further. We incorporated Bentley's trademarked stitching pattern used in select vehicles as an accent pattern on the collar stays and throughout our custom made leather/wood holster. Additionally, we included a dealer imprint on back to reinforce their brand experience.